Macadam Floor and Design is committed to providing its customers with all the best products in the flooring industry. That is why we have taken advantage in the breakthroughs in luxury vinyl flooring, which replicates high-end fashion flooring without the excessive costs or maintenance. 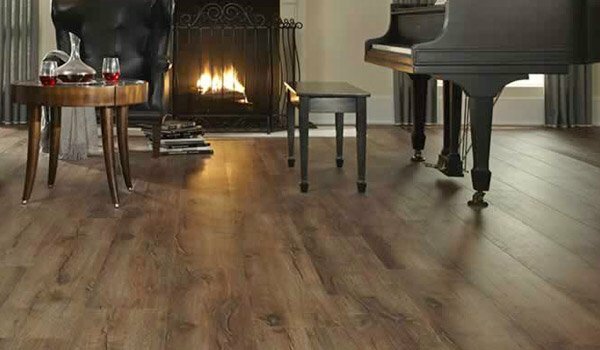 From distressed wood to stone, luxury vinyl flooring is the premier flooring option that some homeowners don’t even know about! Luxury Vinyl Tiles (LVT) is a product that replicates stone or ceramic tile down to the color and surface texture. Initially popular with commercial businesses, more and more individuals are using it in their homes. Technological improvements mean that it would take a very discerning eye to know that it’s not the real product in question. A variant of luxury vinyl flooring looks like wood planking, down to the texture achieved by scraping and embossing. Luxury vinyl tiles can be installed in a variety of ways to make the pattern that best fits with your design plan. No matter the pattern or color, LVT has a strong reputation for being a comfortable, warm surface. Because it uses a multi-layered system, from resilient backing to a protective top layer, LVT is the definition of durable. It is both moisture and scratch resistant, so it can be placed in any room in the house without having to worry about frequent cleaning or replacement. Also, because LVT is so easy to install or remove, your flooring renovation can be made with the peace of mind that it can be changed in the future without uprooting your house for construction. 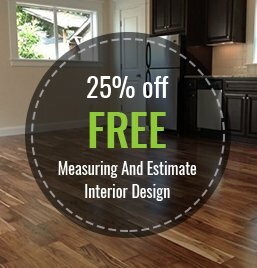 We are a local business that has a strong reputation for sticking with you during the entire flooring process. Our staff is ready to help you match the floor of your dreams to your house. While a project like a floor renovation can seem overwhelming, it is a major step in remodeling or home construction. The last thing you want is a floor that you end up disliking but don’t want to replace, or a floor that starts to give out on you, resulting in costly, time-consuming repairs. At Macadam Floor and Design, we have an easy-to-navigate design center so that you are fully confident in your decision. Contact us at Macadam Floor and Design to begin the process today!